West End Girls' Victoria Abbott and Jessica Robinson chat about best friends . . .
Everyone has that one best friend they’ll never forget. Sometimes it’s a friend who’s there at just the right time… sometimes it’s a lifelong relationship. That one person who makes you laugh at the worst of times, at yourself, at the world until you nearly pee your pants. When you’re around them you feel more yourself than you ever have before. Victoria Abbott and Jessica Robinson in West End Girls. Photo by Stephen A'Court. You think girl power started with the 90’s? Try the 1940s. Mae and Babs are BFF’s (Best Friends Forever). Mae’s a bombshell, Babs has never been kissed. Mae also happens to be the best prostitute in Soho with a job opening for a maid. The story is real, funny and moving. 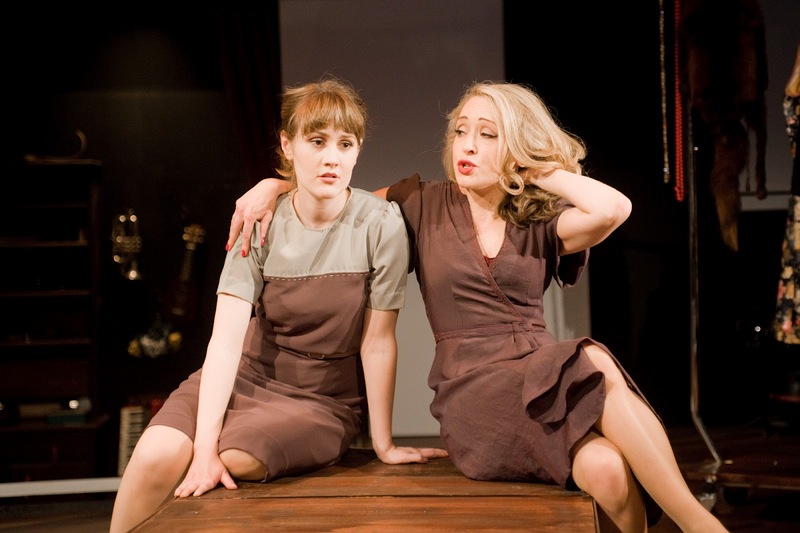 Our quest was to find the friendship between Mae and Babs and the community of women in Soho in 5 weeks. West End Girls. Photo by Stephen A'Court. So how did Jess and Vic (we’re writing in third person – hi!) find themselves synchronised trampolining? After sitting next to each other with identical scripts for five minutes, we realised we had the same audition slot. It was instant teamwork time. Turns out team Je-toria were a good match. 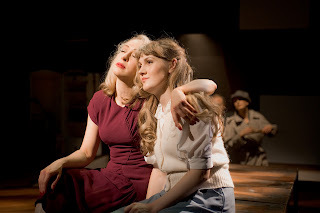 Jessica Robinson and Victoria Abbott in West End Girls. Photo by Stephen A'Court. Out in Aro in our first rehearsal Je-toria were joined by a trio of babin’ brunettes: Heather, Hayley and Bryony. Not only were rehearsals a hoot but breaktime bonding over St Vinnies op shop and Aro bake delights were relished. Our session with the Wellington Prostitutes Collective was hilarious and informative too! Our (pregnant) stage manager Fingal made a priori-tea (terrible pun, sorry!) of getting us proper English Breakfast and Earl Grey. Tea breaks onstage matched the tea breaks in the Green Room. As the friendships between the women in Soho blossomed our girl bonding took to the streets of Wellington. Hayley’s search for the perfect leather jacket; restraining Jess in boutiques; Bryony’s amazement at the prices Jess thought were ‘a bargain!’; Heather’s knowledge of the high street and Vic’s free makeover and obsession with samples. A $10 pub lunch ended with turning our food into faces on the plate - much to the confusion of the waitress. Heather’s free week gym pass got us in shape, in the epically hysterical trampolining fitness class. But we still looked like a bunch of Wellington urbanites. 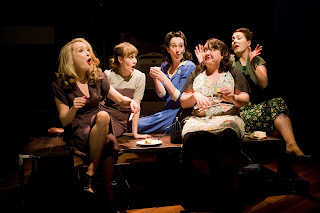 Enter Eliza and Jane to educate and dress us like the beauties of the 40s. Pin curls, silk undies and a ridiculously hectic amount of costume changes later we are rearing to go. We’ve had a blast behind the scenes, can’t wait to see you on the stage! Disclaimer: The equally awesome boys team including David, Ken, Gavin and Paul are fantastic fun too (but not so interested in free makeovers or group aerobics). West End Girls graces the stage of Circa One for two more weeks, until 1 September. 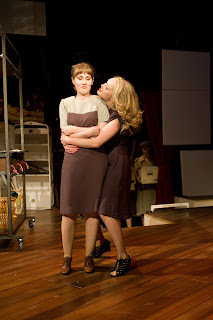 To book, call the Circa Box Office on 801-7992 or go online www.circa.co.nz. JOAN DIDION and THE YEAR OF MAGICAL THINKING.